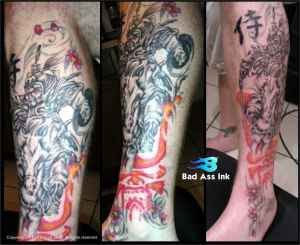 theAd>> If you want someone to cater to the creative and unique side of your tattoo along with hospital quality sterilization contact me. Do you care about the quality of the work that is going on you? 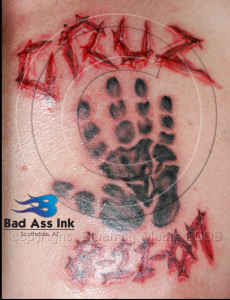 Do you feel that the tattoo artist should be able to draw your tattoo thus showing the skills necessary to tattoo it. Do you believe that when you are going to someone to have them put a design on your body for life that they treat you with respect and have the skills to complete the job.....? well so do I. 17 inch or larger wall mount computer monitor with tv hook up. canon rebel XTi rebel camera with lenses. When you see a guy, in a golf cart, with his fiance', brandishing a gun DO NOT stop to ask him how he feels about the art of tattooing. Cause this guy will not shut UP! 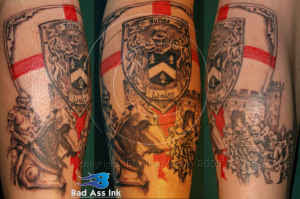 Sure having all three of your legs covered in Templar Knights says a little something about you. I just don't know what.